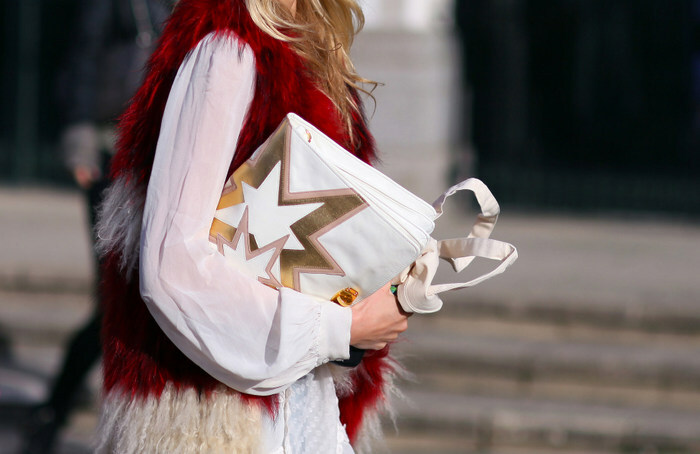 Streetstyle snaps during LFW. 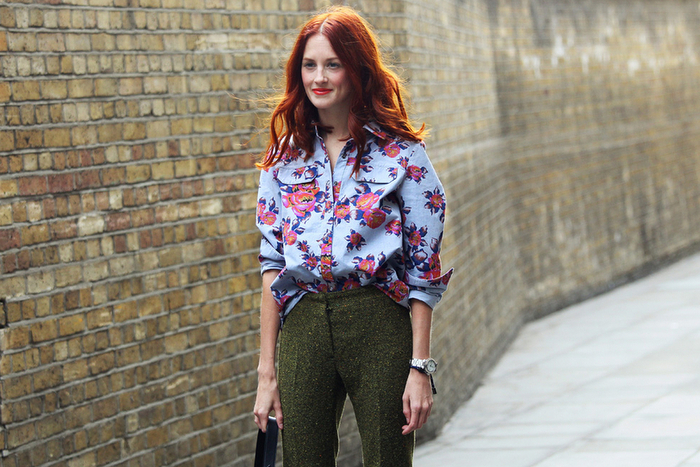 Loving the bursts of colour and vibrant prints! Can't wait to share snaps from Milan as well. i love it all!!!! amazing photos!! Great shots. In love with that ACNE knit perfection. I love details, I love this post! Great rings at first photo! I love seeing all the details up close! Great pics!! 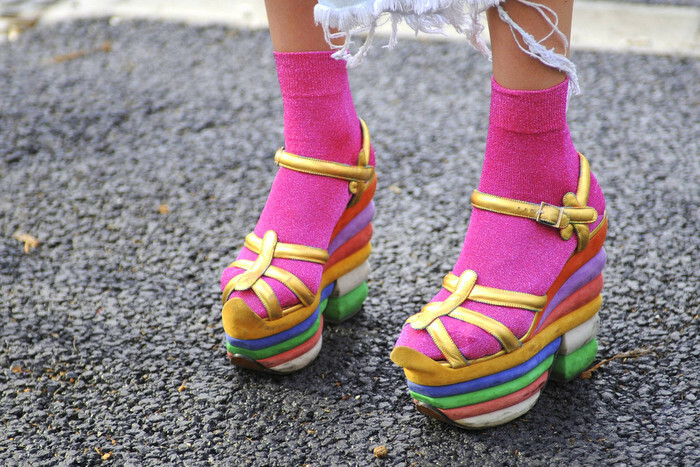 wouwouwou amazing snaps!the multicolors shoes are of ferragamo? Love absolutely everything you've posted....thanks for the inspiration! Love the little detail shots! 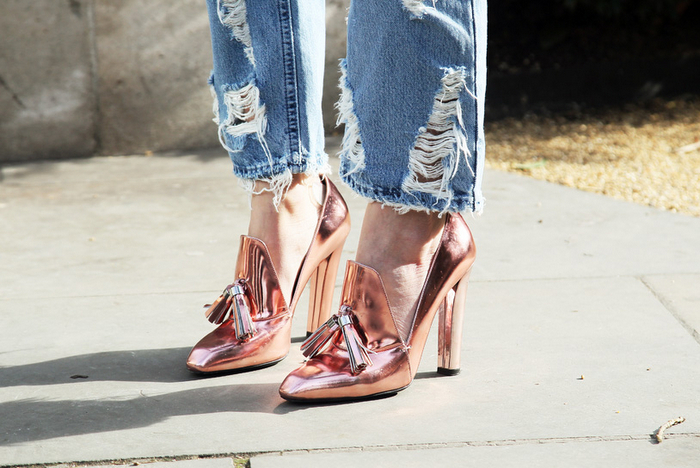 My newest crush is on the Alexander Wang copper heels! They look absolutely stunning with that Acne jeans! 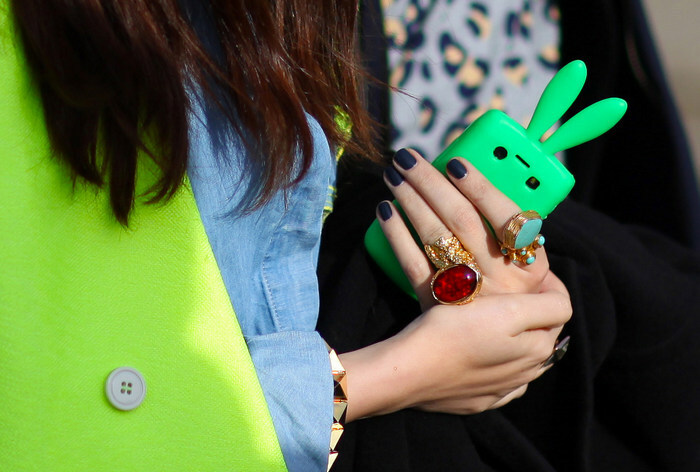 so colorful and cheerful, i like it! Jesus, can’t tell how much I LOVE details. I’m an addict! THANKS FOR THIS!! 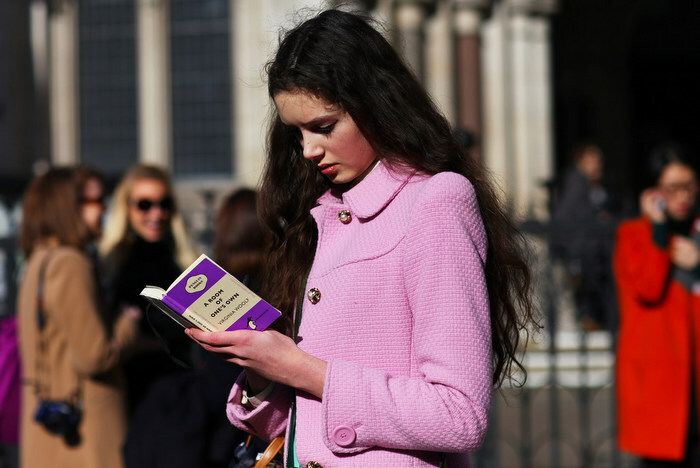 I love that pink jacket, is so girly ! you have an amazing blog!! this colour pop culture is so lively. mades me want to dance! amazing photos thank you so much for this post! Great photos....great shoes .... and great bags!!! 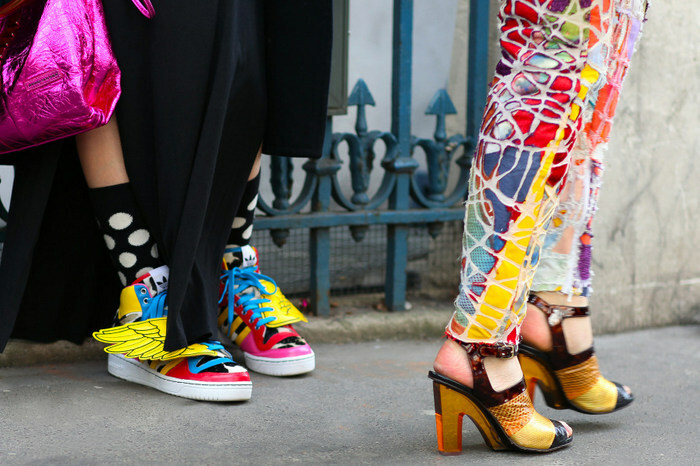 Love these fun daring and vibrant looks. So much more fun than NYFW. Really impressed at the whimsical oufits and ambiance. OMG london is so colorful! Amazing shots. Colour.. It's eye candy for sure.. London style is great no matter what the occasion..